Update details and other Disney links. 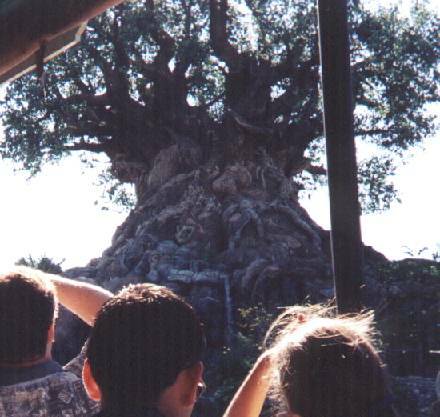 The 'main street' of Animal Kingdom. 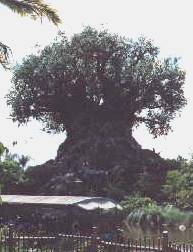 The hub of Animal Kingdom. The defunct March of the ARTimals non-parade. Disney Radio Cruise (formerly River Taxi, formerly Boat Ride). You are here! Pangani Forest Exploration Trail - gorillas and more. 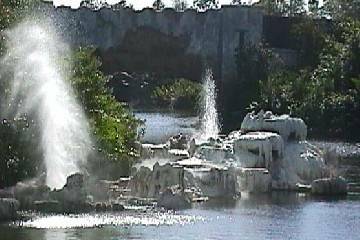 August 1999 Update:Discovery River will soon be without boats again. The Radio Disney River Cruises will end on August 21st. You'll see that this isn't new - Disney hasn't figured out the secret to success with Discovery River's boats. Is there another iteration in the future? Stay tuned. March 1999 Update:It's now called Radio Disney River Cruise! They've repainted all the boats in bright colors and added DJs. Not necessarily improvements in either case. It's still not an 'attraction' - just a boat ride. 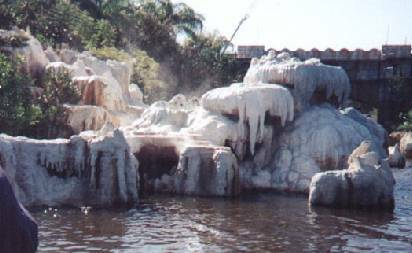 January 1999 Update:An early December visit found the Discovery River Taxis closed. 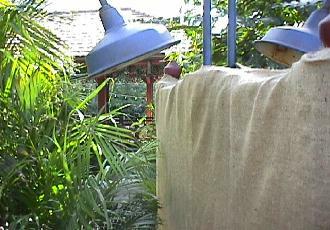 The entrance signs were draped and potted plants placed across the entry, so it seems to be only temporary. It re-opened for the Christmas holiday and is now closed again. On our way from DinoLand U.S.A. to Asia, we took the Discovery River Boat Tour. 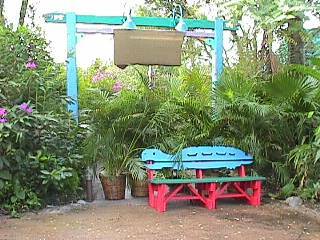 Alternatively, you can walk through Safari Village (stay to the right) to the Asia bridge. You can enter the Discovery River Boat Tour from beside the bridge to DinoLand U.S.A. 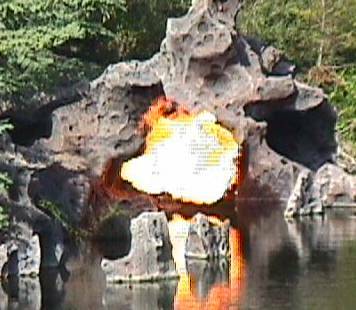 There is another entrance beside the bridge to Oasis, however it is usually signed asking you to use the DinoLand bridge side. For some reason, this ride has a long queue - often 45 minutes when the other attractions in the park have queues under 15 minutes! 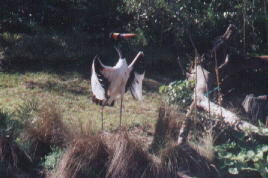 We exit the cruise in Asia (in June 98, the boat was doing only round trips back to Safari Village; in September 98, the ride closed; in November 98 it re-opened as Discovery River Taxis, closed and has only re-opened for peak holiday crowds. 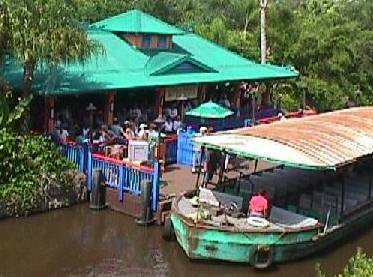 In March 99, it re-opened as Disney Radio River Cruise, and it closed in August 1999). The tour continues to Asia - click here!